Bookmark it, pin it, cut and paste it, earmark it, sticky note it, whatever you do, save this one. Did I ever mention that I can bake if there’s no yeast involved? When I laid eyes on the photo of this on Pinterest, I couldn’t get the oven preheated to 350 fast enough. You’d think pudding were in the list of ingredients, but it’s simply moistened with zucchini, buttermilk and oil. And the lively part? The glaze for this bread is a must. Tart and sugary, it really brings an exciting zing to the whole package. First bite triggers the almighty OMG. This recipe comes from NancyCreative blog. 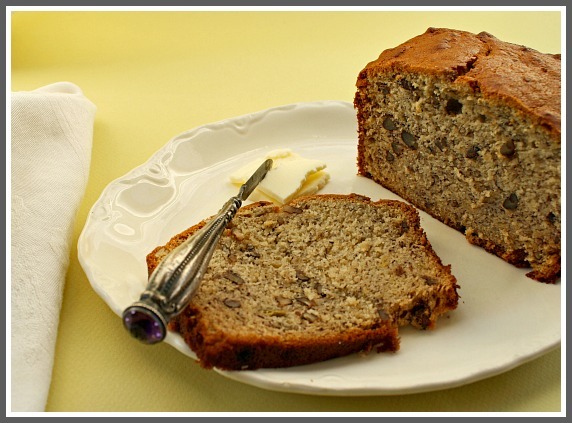 Fresh with lemony flavor, moist with grated zucchini, this bread is a wonderful spring treat. Add this mixture to the dry ingredients in the large bowl and blend everything together, but don’t over mix. 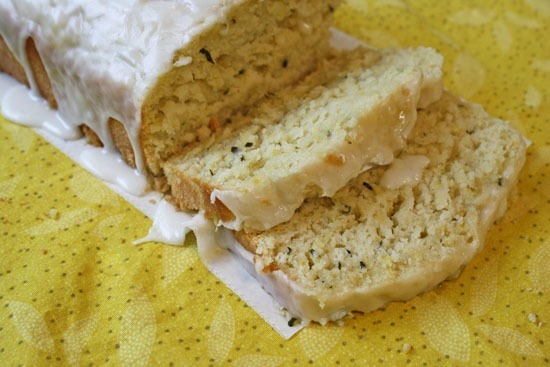 Lemon Zucchini Loaf with Lemon Glaze …It’s What’s for Snacking. I triggered! And we loved it. I agree, lemon gets me every time. One the 2nd loaf, the lemon wasn’t as big as the first. So, I added a few drops of that wonderful lemon oil you sent me. DEEEEEEE..vine. We just planted our zucchini last weekend and can you believe I still have some in the freezer (grated) from last year?? This luscious loaf is getting made today! I hope you like it Karen. We went ba—zerk. Please let me know. Oh yes I am definitely saving this one! Thanks for sharing, can’t wait to try it. This looks SOOOOO good – it has my name on it. So to speak. Make it and blog it. Signed “the nag”. LOL – I love your tenacity. This would require me to cook tho! Really?? 😉 I do have a birthday coming up. Maybe you could convince my personal chef to make it? I’ll leave the convincing up to you. My personal chef made this for me and it is AMAZING! I told some friends about it and just passed on your blog link to one of them who loved the sound of it. 🙂 Just had a piece for my mid-morning snack. This is dangerous stuff!! LOL! Love it!! That looks really really yummy. I’ll have to make it and share it. By the way Lea Ann, congratulations on 3 years of blogging – time sure flies. You do such a great job. Thanks for being my very first fan Carol. You don’t know how much I appreciate that. This looks totally delicious, especially for bread and congrats on the 3 years of blogging. I have a passion for all things lemony. Now I have something that I truly would live to do with zucchini. Me too Rhonda! You’ve got to try this, I’m pretty darn sure you’re gonna love it. Sam, I have practically given up on anything yeast. This altitude and lack of humidity gives me fits when working with it. I’ve had zucchini loaf many times, but never a lemon version! And I adore lemon! Can’t wait to try this! Me Too Jenn! Anything with lemon gets bookmarked. Let me know how you like it. I’m more than happy to have a new zucchini bread recipe to try. . Love the zucchini-lemon combination. It’s such a nice contrast to the old recipe I’ve used for years. Congrats on your 3 years of blogging. Here’s to many, many more. Thanks Cathy! I’ve loved almost every minute of the three years. 🙂 And the people I’ve met, like you, have been the best part. What a brilliant way to use zucchini! I’ve never seen a recipe quite like this before so I’m definitely saving a copy. I LOVE lemon! It’s good Susan, you must give it a try. OMG! This looks amazing- A nice twist on traditional zucchini bread, it looks lighter and fresher. You’ve gotta try it Velva! Alexis made some great dinner rolls with zucchini last year. I was surprised they baked so well when shredded. I’ll have to show her this post. I like that dinner roll idea. Yes, please pass this along to her. It’s wonderful. “Bookmark it, pin it, cut and paste it, earmark it, sticky note it, whatever you do, save this one.” … saving… yummy! I agree! This one is a keeper. I’m so glad I found the recipe. I just made a triple batch of this recipe. I prefer to use up my zucchini by baking with it and freezing the baked products. I have found that when I freeze the shredded zucchini, it just never seems to get used up. When I decide to do some baking, I remember (at the last minute when too late) that I have forgotten to thaw the frozen zucchini so end up making something else. This loaf is delicious. I never even made the glaze because the loaves are fine without them. Moist, lemony, perfect for breakfast or a snack any time. This bread is absolutely delicious. People rave. Do you suggest squeezing the zucchini dry first? I’ve never done that, but I’ve seen recipes that suggest to do that. I’d say no, it keeps that bread nice and moist. I’m new to your website and I live in Morrison. On the lemon zucchini bread could you please explain the Tablespoon amounts? How many tablespoons of lemon juice? And in the banana bread what size pan? Thanks I’m looking forward to your recipes. And thanks so much for your email. I’ve updated the recipes, and I appreciate you alerting me to the errors. The recipes have been updated. The lemon bread recipe looks like it was an error when transferring recipe programs and improper filtering. The banana bread recipe probably never did have a pan size. Those old fashioned recipes can be vague at times. And waving hello to a neighbor. 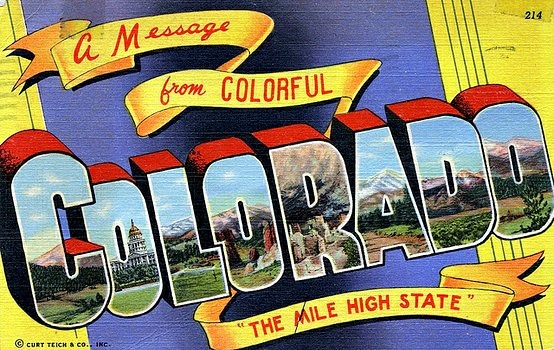 I have so many National and International followers, it’s always a pleasure to have someone in Colorado amongst the crowd. Please comment often, I always enjoy hearing from readers. And let me know how you like that Lemon bread. I think it’s outstanding. Hi Lea Ann, it’s Cheryl from Castle Rock. 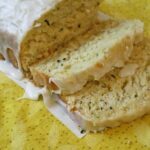 I made this awesome lemon bread last week, we loved it! I see you corrected the 2 tablespoons in the bread recipe, but it’s also goofed up in the icing part. I just used 2T. for each. For those who don’t want to buy buttermilk, just use 1c. of whole milk with 3 tsp vinegar or lemon juice added. In this recipe, I just used the 2T. of lemon juice called for in the recipe and put it in the milk to curdle before adding to the mix. Today is cold and snowy, I’m about to make another one of my favorite recipes from your site, the Mexican Ranch Chicken Soup with hominy – we love this soup! Thanks for all the great recipes! Thanks so much for your note Cheryl. Heading over to check out the mistake in the recipe. 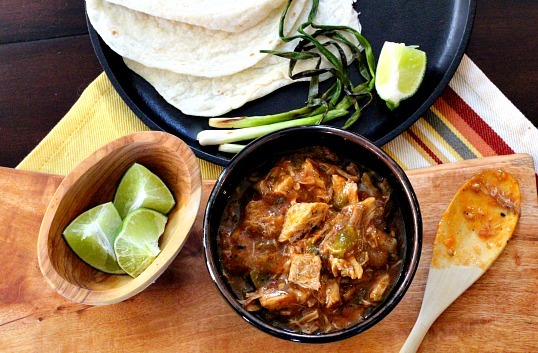 We love this recipe, it’s a crowd pleaser and so so so good. And thanks for that whole milk/vinegar tip. I had forgotten all about that. Perfect day for that soup! It’s so dang cold outside. Again, thanks for the note and the compliments! I so much appreciate it.